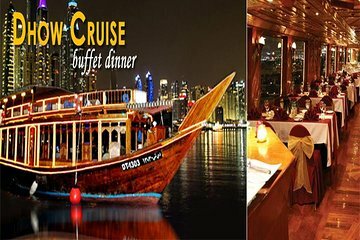 Get views of the Dubai Marina from the deck of a traditional dhow on this evening dinner cruise. This must-do Dubai activity includes an international buffet and evening entertainment, as well as convenient hotel transfers. Booking in advance means you can check this activity off your list with guarantees against sold-out cruises on your preferred days and times.